NFU Cymru has taken its fight to get Welsh Government proposals for a fresh wave of Nitrate Vulnerable Zones scrapped directly to Assembly Members in Cardiff. 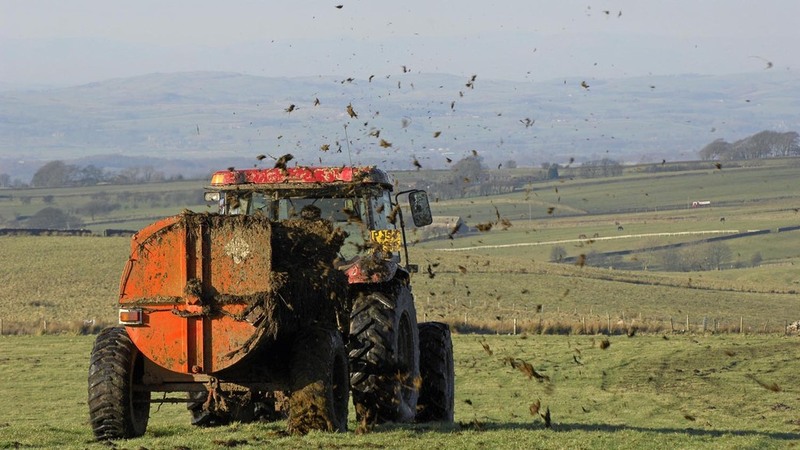 With them were the results of a survey detailing the concerns of some 300 farmers from across Wales over the costs and impacts that NVZ designation plans could have on farm businesses and the wider rural economy. It shows that around one in eight surveyed – 13 per cent -- would consider leaving the industry if the proposals are introduced and nearly three quarters – 73 per cent -- did not have sufficient slurry storage to meet the planned requirements. According to the findings it would also cost an average of £80,000 to upgrade slurry storage facilities to achieve NVZ compliance. "We are strongly opposed to the consultation proposals as the costs associated with the implementation vastly outweigh any benefits to water quality," union president, Stephen James, told the AMs. "The rules will reduce a farmer’s ability to make decisions based upon their own knowledge of the land and the weather, leading to a ’farming by calendar’ approach rather than assessing the conditions on the ground. "Farmers play an important role in environment management and we want to help improve water quality. In fact, our survey shows that 75 per cent of those questioned would consider a voluntary approach to managing nitrate levels. "If implemented the proposals will be extremely damaging to the industry. The impact on Pembrokeshire, in particular, could be enormous," added Mr James. "We estimate the proposals covering the Milford Inner Waterway could hit 50 per cent of the Wales’ potato production and 25 per cent of the country’s dairy production.